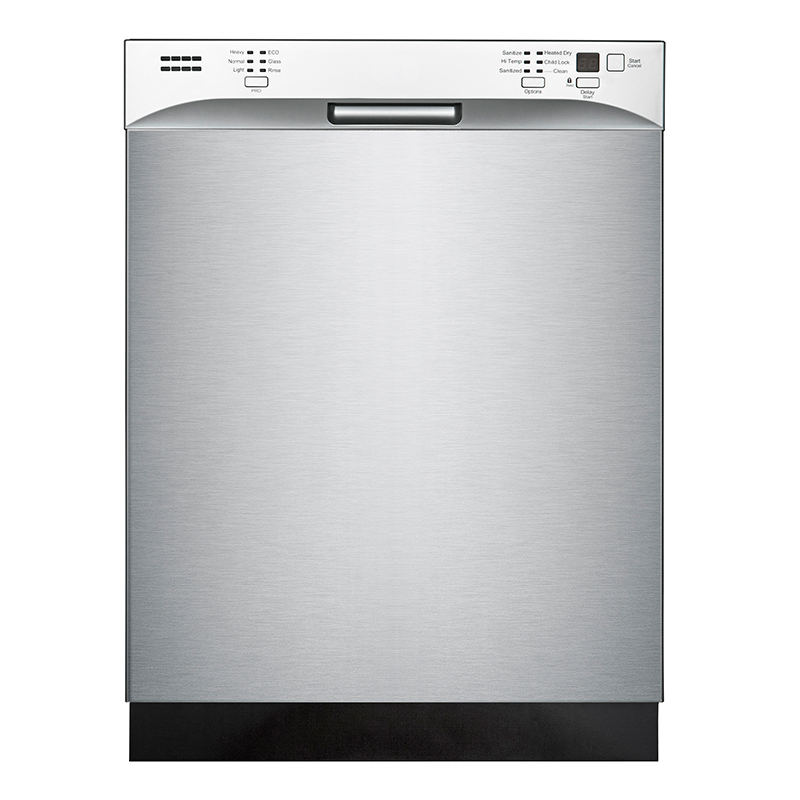 With the 400-3203 Countertop Dishwasher, sparkling clean dishes are at your fingertips.This ultra-convenient, space-savingdishwasher offers a roomy six place-setting capacity and a contemporary LED display with six wash-cycle options. 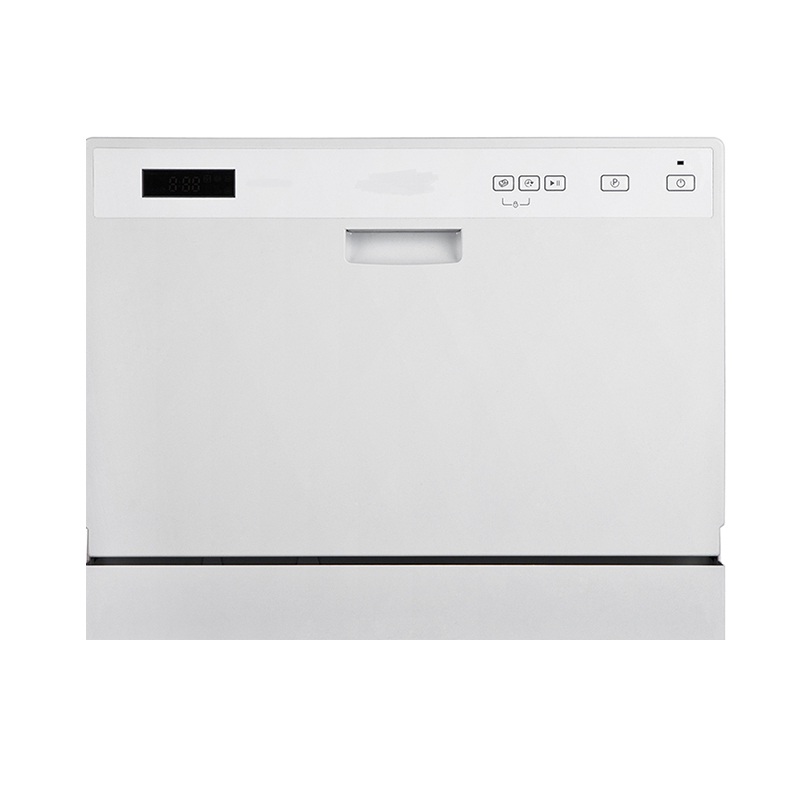 With the CD 400’s delayed start option, you’ll never have to rearrange your day to do dishes again. 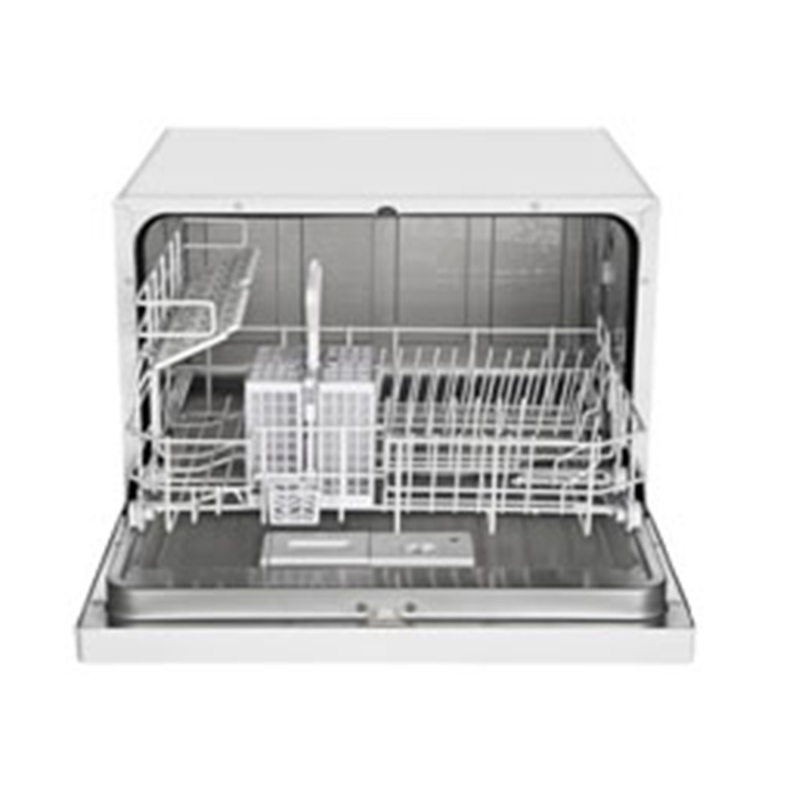 The CD 400 is just 21.7 x 32.2 x 17.2 inches, and uses less than 3 1/5 gallons of water per wash—making it the perfect time- and energy-saver. 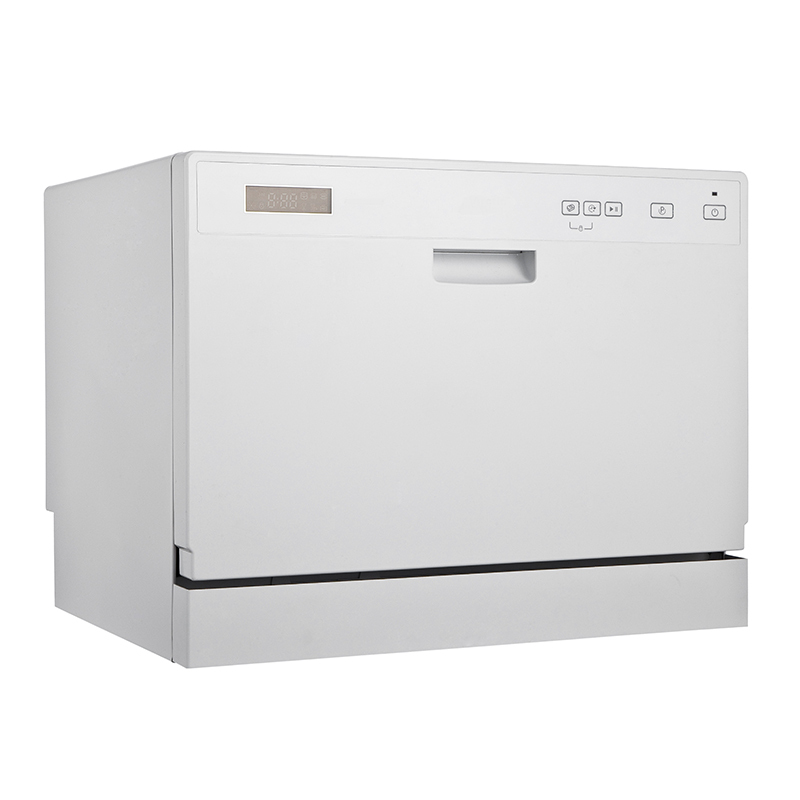 It features a durable stainless interior and crisp white exterior to match any home’s style. 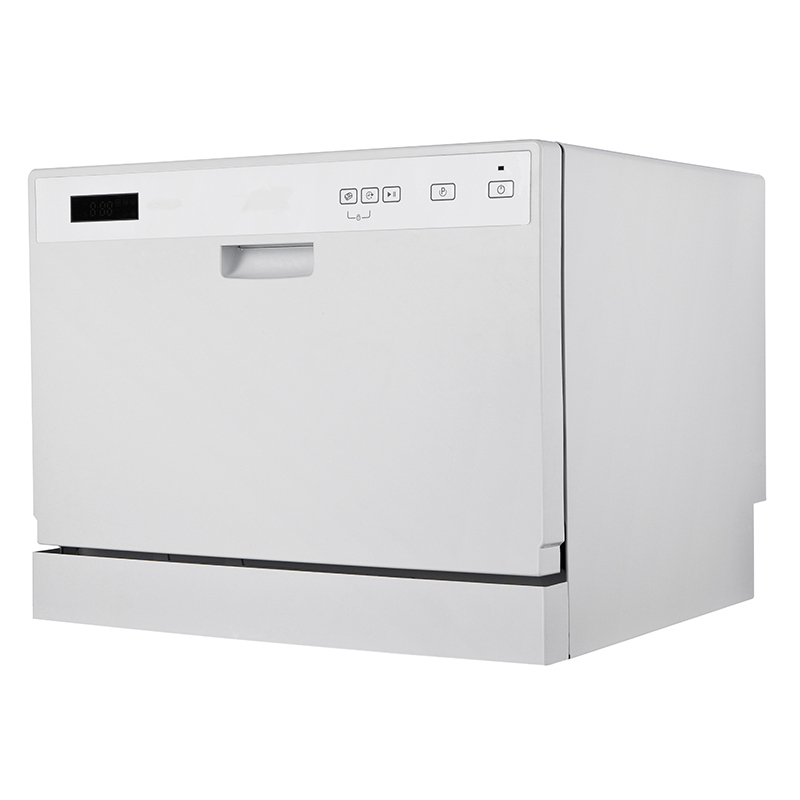 We’ve also equipped this sleek countertop dishwasher with leading technology, including automatic detergent and rinse dispensers that ensure you never have to sacrifice sustainability to get the cleanest dishes you’ve ever seen.